This sun-lover makes a great ground cover. 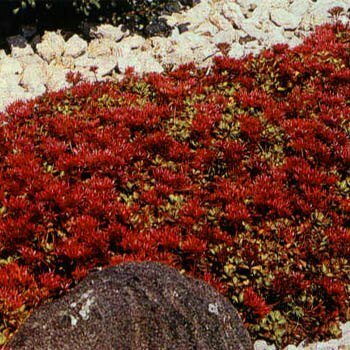 This variety of Sedum Stonecrop is commonly known as Dragon's Blood. 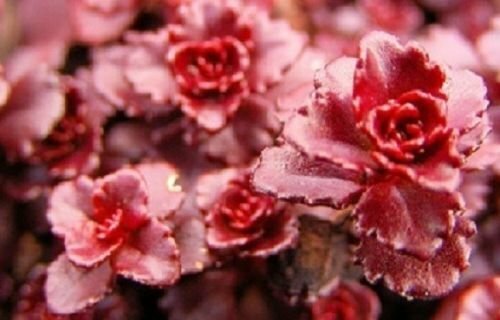 It has brilliant red flowers in summer, and the succulent needle-like leaves turn a vibrant orange-red color in fall. This low-growing plant reaches 3 - 5 inches in height and tolerates heat and poor soil conditions. Sedum, known also as Spurium coccineum, is a hardy perennial that works well in rock gardens, edging the front of a flower border, and in containers. It establishes easily from flower seeds. Start seeds indoors. Ideal temperatures for germination are 68 to 70 degrees. The seed can be directly sown into a prepared seedbed. Sow the Sedum seed in spring after danger of frost. Set up irrigation so that sprinklers can come on every 2 - 3 hours for a few minutes each time to ensure than the seed does not dry out. Sedum Dragon's blood. All seed counts should be considered estimates. Some of our seeds are estimated by weight. These weights are often based on our supplier weights and/or the weight of the average of several samples of the same seed.We do our best to ensure accuracy and will often add extra seeds. SEDUM DRAGON'S BLOOD ( Sedum spurium ) a.k.a. 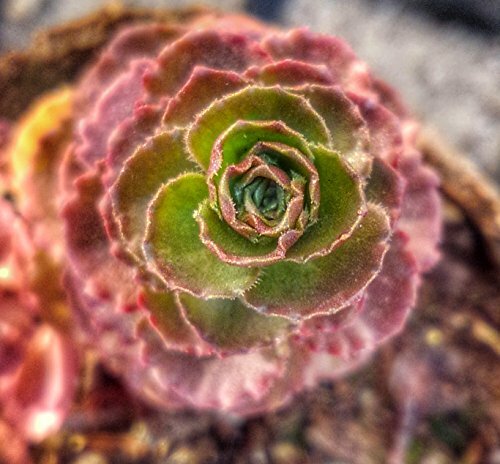 Two Row Stone Crop Grows 3-4 inches High - Has Green Leaves Purple Tinted when Mature and Produces a Profusion of Deep Pink to Red Flowers from mid to late Summer - Sedum is a low growing succulent plant that thrives on poor to average, rocky or clay garden soil. It needs little care and tolerates dry hot conditions well. Grow as Perennial in Full Sun-Part Shade ZONES 3-10. Sedum Dragon's Blood Stonecrop Sedum Spurium is a herbaceous perennial plant native to the Caucuses. Sedum Dragon's Blood seeds can be started indoors or directly outdoors, and also commonly called Caucasian Stonecrop and Two Row Stonecrop, this variety of Sedum Spurium spreads to form thick, low carpet of small, bronzy-green to beet-red leaves that are simple, smooth-margined, and succulent. 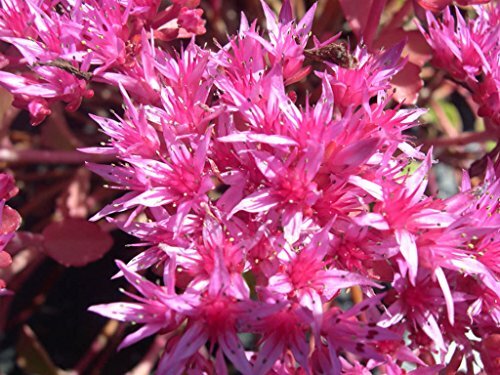 Sedum Dragon's Blood blooms with extremely showy clusters of ruby-red star flowers that appear in summer and fall. 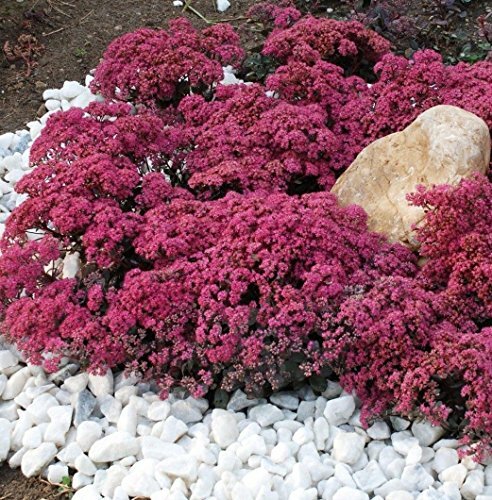 Sedum Dragon's Blood is grown primarily as an excellent creeping ground cover plant that is particularly great for hot, dry sites with poor soil. Caucasian Stonecrop is also a popular succulent to grow in rock gardens, containers, borders, sunny banks or slopes, along walkways or foundations. 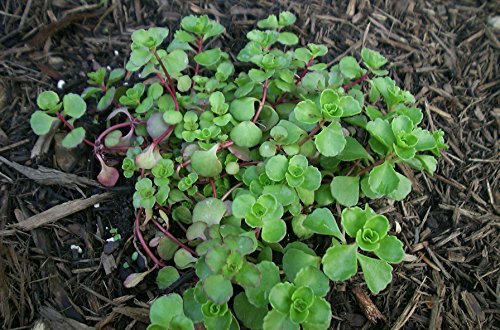 Sedum Spurium seeds produce the sprawling, low to the ground, evergreen perennial that grows well in poor, rocky, and sandy soils, preferring a lot of sunlight and very little water. 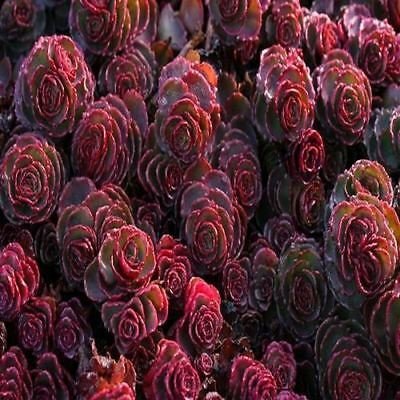 Dragon's Blood' Sedum is a unique perennial, with green leaves with red margins that turn a brilliant red with cool autumn temperatures. Deep red flowers contrast with green leaves in warmer weather. Sedum is one of the best creepers often used as a ground-cover and in rock gardens. Works well in containers also. A video of Dragon’s Blood sedum in bloom! 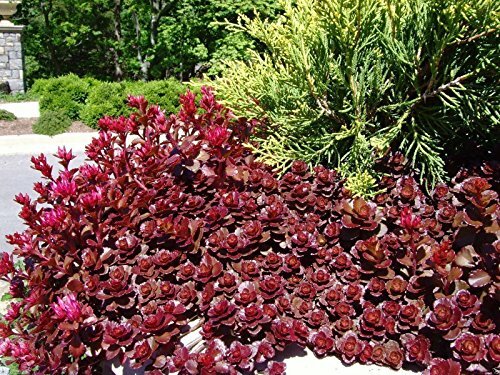 Compare prices on Sedum Dragons Blood at ShoppinGent.com – use promo codes and coupons for best offers and deals. Start smart buying with ShoppinGent.com right now and choose your golden price on every purchase.